There’s little reason to believe that IO Interactive isn’t currently working hard on a full-blown second season of content for its newest Hitman game, but the studio is also making sure fans have plenty to occupy themselves with in the meantime thanks to the newly announced Hitman Game of the Year Edition. As you can see in this announcement post, the Hitman GOTY Edition comes packed with a bunch of new content additions on top of the already quite large core experience. Chief among those new content additions is a brand new multi-mission campaign called "Patient Zero" which tasks players with halting the spread of a deadly virus by journeying to completely reworked versions of the game’s Bangkok, Sapienza, Colorado, and Hokkaido levels, complete with new objectives, disguises, AI routines, and more. 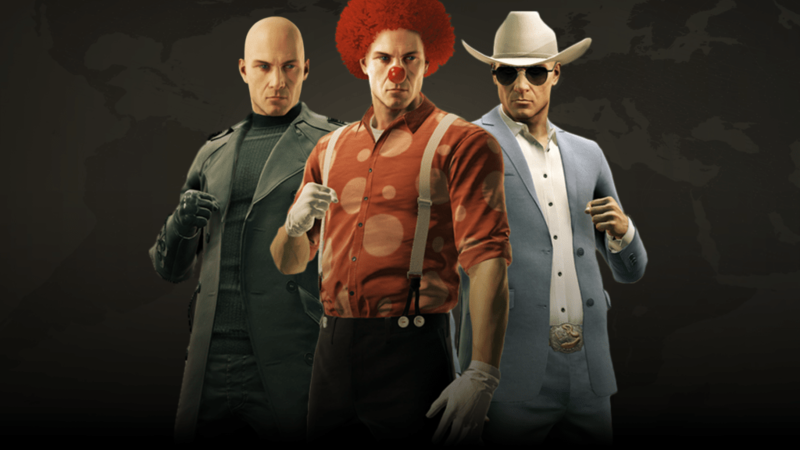 Also included in the GOTY Edition are three new outfit/weapon combos: a Clown suit and "A New Bat" melee weapon, a Raven tactical suit and "Sieger 300 Ghost" silenced sniper rifle, and a Cowboy suit and "The Striker" magnum pistol. While the suits are unlocked from the get-go, the three new weapons must first be unlocked by completing a series of three new Escalation Contracts which task players with using the new suits and weapons in creative ways. Completing each Escalation Contract will allow players to use the corresponding weapon in all of the game’s missions. The Hitman GOTY Edition will be available on November 7 for Xbox One, PlayStation 4, and PC at a $60 price point for new buyers and as a $20 upgrade pack for those who already own the base game. On that same day, a free update will also be released, bringing with it a redesigned UI, new Contracts Mode features, miscellaneous fixes and improvements, and more. Best of all, IO has confirmed it will be bringing all of the season one Elusive Targets back around for a second go, giving players who missed out on them the first time around another crack at them. The Elusive Targets will start making their encore appearances shortly after the GOTY Edition’s launch.